Sue Parritt is an Australian science fiction author. 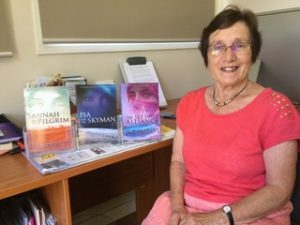 Her first trilogy tells the tale of a futuristic Australia ravaged by climate change, and racial oppression. BELINDA: Tell us about Sannah, what makes her strong? SUE: Sensuous, emotional and dramatic, Sannah, 39, a descendant of Environmental Refugees from the drowned Pacific Islands, is the Storyteller for Village 10. Storytellers–one for each Brown Zone village–are trained to deliver a distorted version of history to ensure compliance and reinforce White superiority. An articulate speaker, Sannah employs both voice and body to weave a spell around her audience. She also plays the role of ‘lover’ to many White men, to gain information useful to the Women’s Line, an undercover group that assists political prisoners on the run to flee the country and find sanctuary in egalitarian Aotearoa. Intelligent and savvy, Sannah knows what it takes to survive in an oppressive apartheid society ruled by tyrannical troopers, but willingly risks her life to ensure clandestine truth-telling continues. In twenty-fourth century Australia, she is a third-class citizen, but despite her low status, she believes in the power to effect change. This, plus the determination to engage in seditious activities whatever the consequences, makes and keeps her strong. BELINDA: What drew you to writing Sannah in particular? SUE: I wanted my protagonist to be a self-reliant woman without a permanent male partner who could have used their relationship as a tactic to curtail her subversive activities. I was inspired to create the role of Storyteller for Sannah by the way information is often distorted by both the media and government to provoke certain reactions. For instance, fears of being swamped by refugees are intensified by using terms such as ‘illegals’ and concerns over rising utility costs and unemployment repeated ad nauseam when discussing renewable energy as opposed to coal-fired power stations. Like Sannah’s people, contemporary Australians are fed only what governments and multi-national companies want us to hear and it takes a great deal of effort to uncover the truth. BELINDA: What messages/examples do you think Sannah provides readers? BELINDA: What traits and/or features do you think make for a great strong female character? SUE: I believe determination, intelligence, charisma and resilience are essential traits for a strong female character. BELINDA: What types of strength would you like to see more of? SUE: I would like to see more of character strengths such as leadership, humanity and perseverance. BELINDA: Who are some of your favourite strong female characters? SUE: Jo March in Little Women by Louisa M. Alcott, Jean Louise ‘Scout’ Finch in Go Set a Watchman by Harper Lee and Meredith Neukirchen in Mudwoman by Joyce Carol Oates are some of my favourite strong female characters. 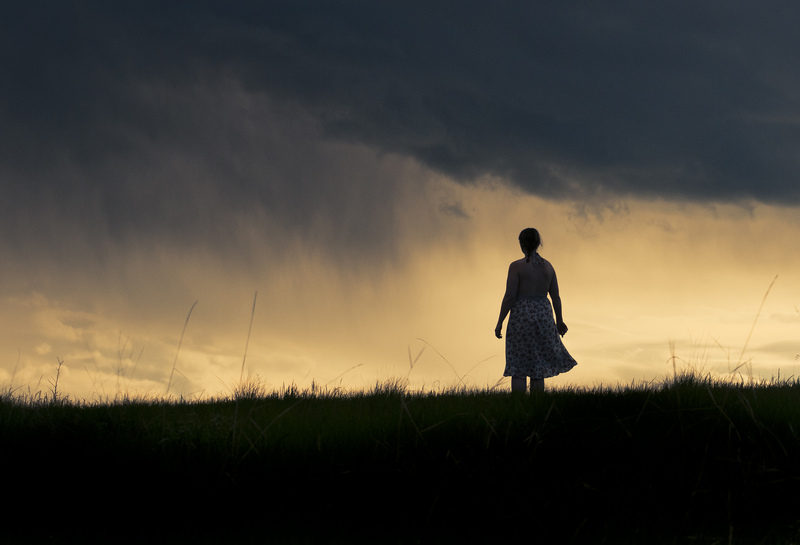 Sue is a fiction writer based in Mornington, Victoria. 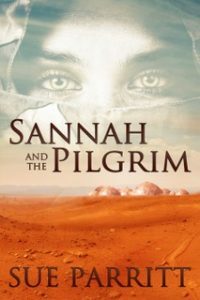 Her novel Sannah and the Pilgrim, the first in a trilogy of a future dystopian Australia was published by Odyssey Press in 2014 and Commended in the FAW Christina Stead Award, 2014. The second, Pia and the Skyman, was published April 2016. The Sky Lines Alliance, published November 2016, completes the trilogy. Her current project is a novel–working title Feed thy Enemy–based on her father’s extraordinary experiences as a RAF airman in Naples during 1944 and as a tourist thirty years later. You can connect with Sue on her website and Facebook. Feature image courtesy of Rob King. Used under a Creative Commons license.